Following is a tutorial for a simple needle case and matching pin cushion, the perfect accompaniment to the fat quarter sewing bag! 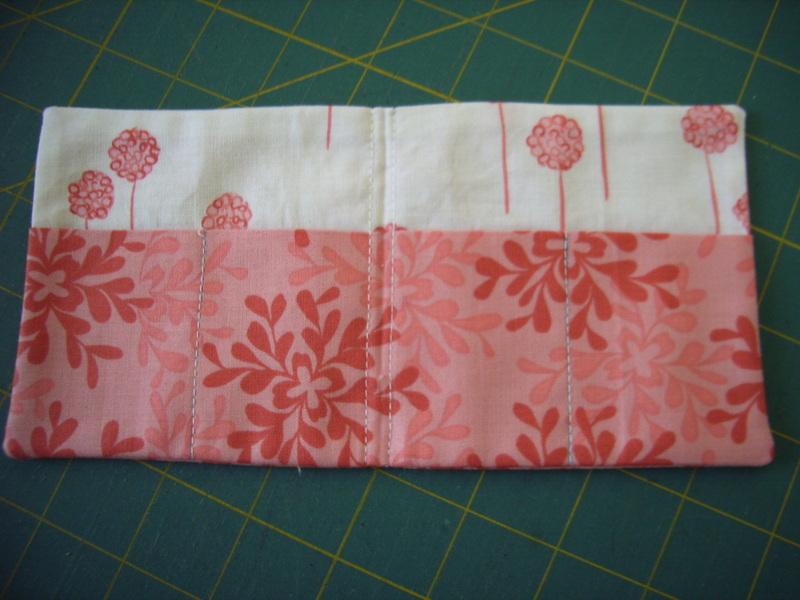 Fold pocket fabric in half, wrong sides together along the length. 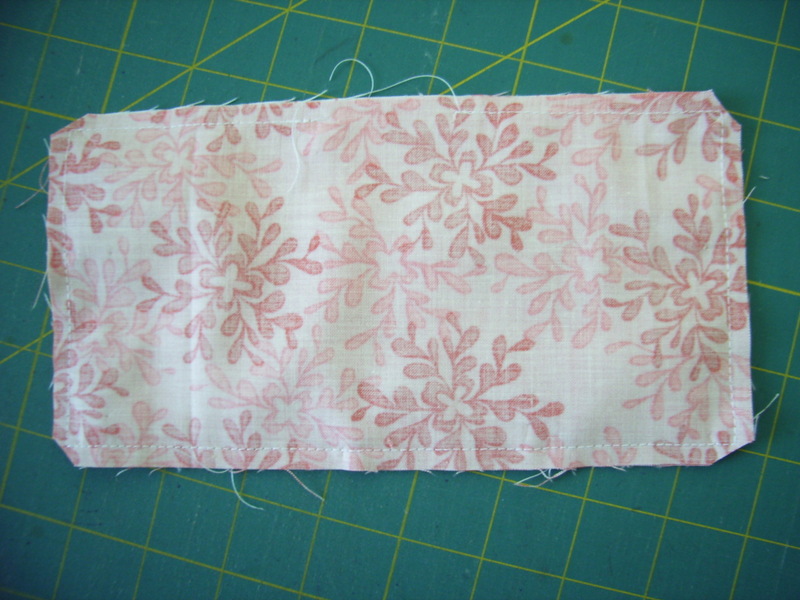 Lay onto bottom edge of right side of lining. 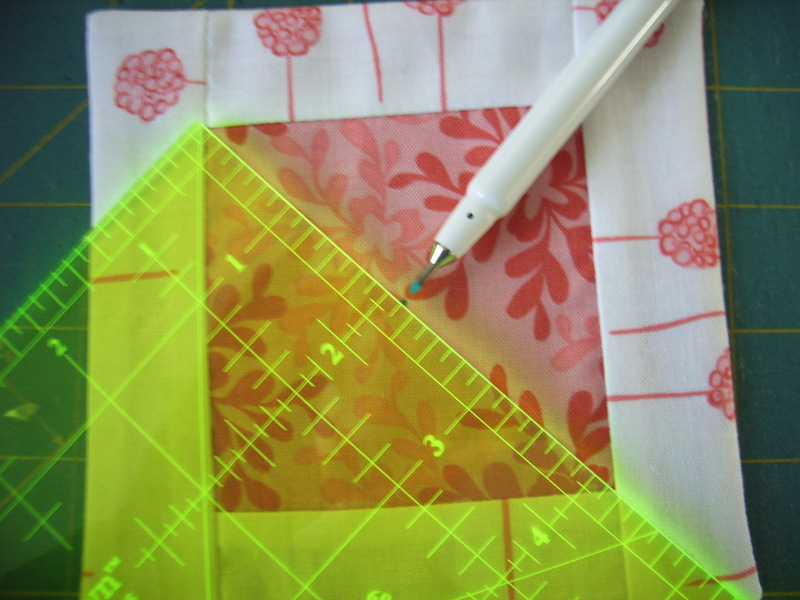 Measure in 2¼” from left end and lightly mark a line on the pocket fabric, then sew down the line on the pocket fabric to make a pocket. Repeat from the right end. 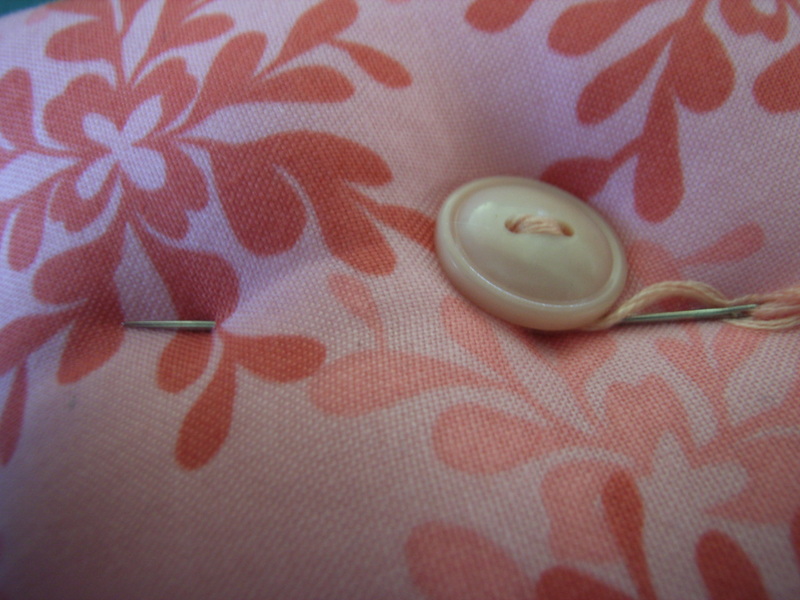 Take the threads at the top of the pocket through to the back, knot and trim. 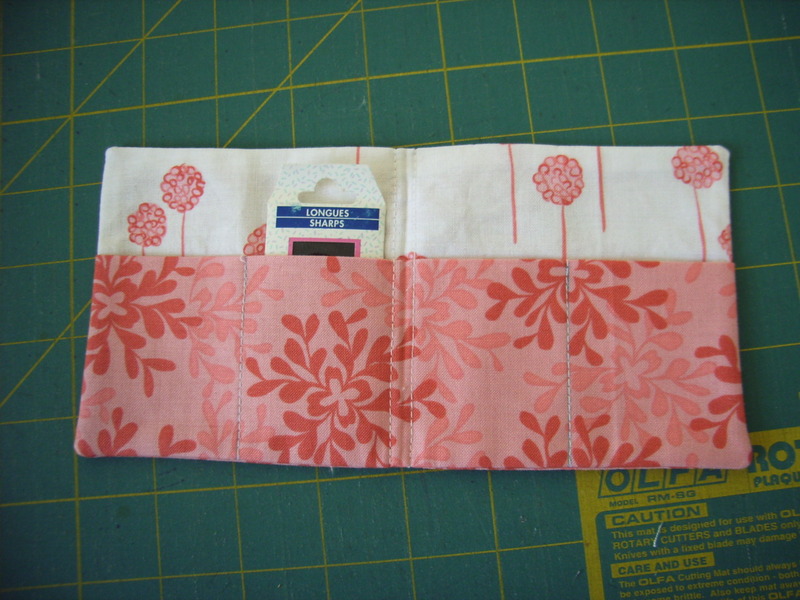 Place outside fabric right sides together with lining/pocket piece. 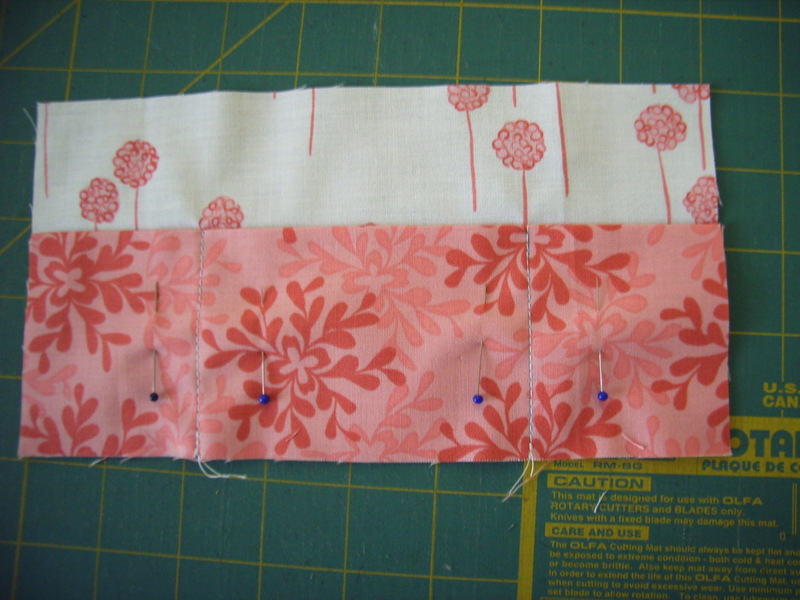 Sew around 4 sides leaving a gap to turn along the top edge (back stitching at start and finish). Clip corners, turn right side out and press lightly. Fold to find half way and press lightly. 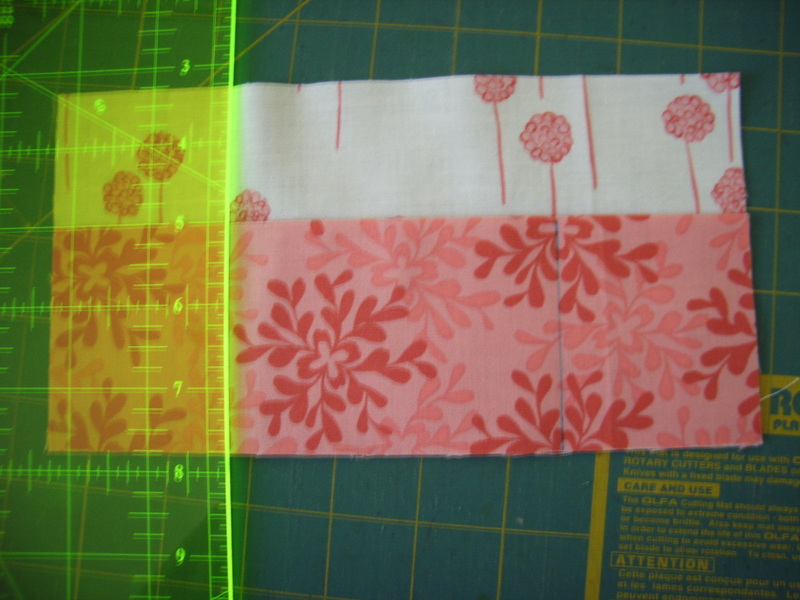 Stitch ⅛” either side of fold line (making a ¼” gap between stitching lines). Slip stitch opening closed and/or top stitch around the needlecase. 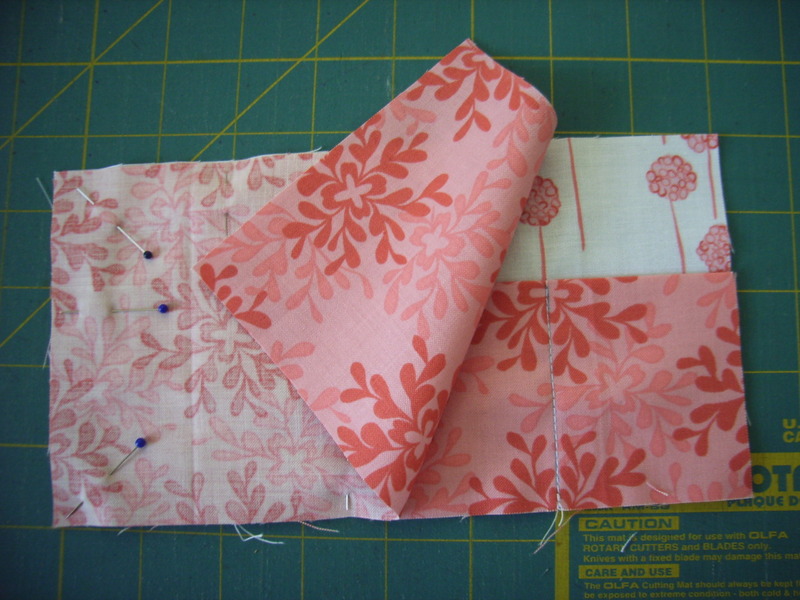 As well as the fabric as given below, you’ll also need two buttons which are sewn on with matching DMC thread and a small amount of toy stuffing. 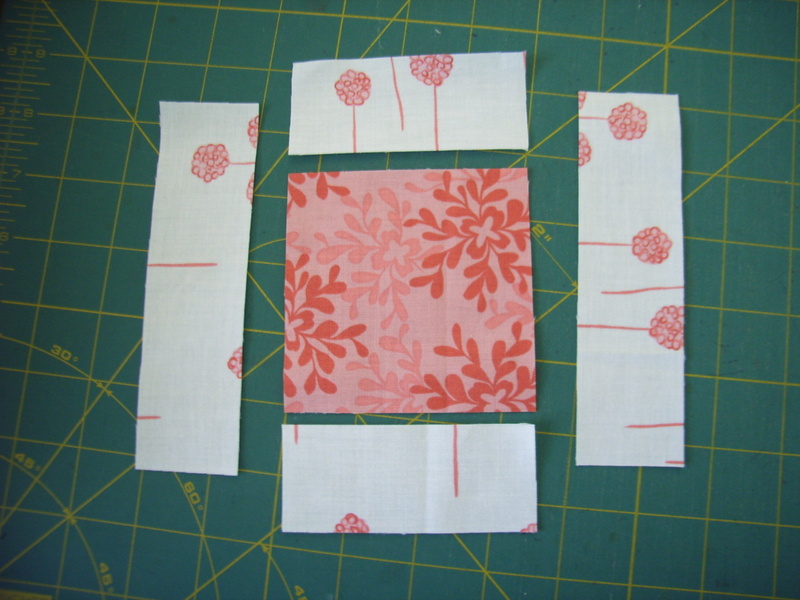 Sew a 1½” x 3½” to top and bottom of 3½” x 3½” centre square. Press seams away from centre square. 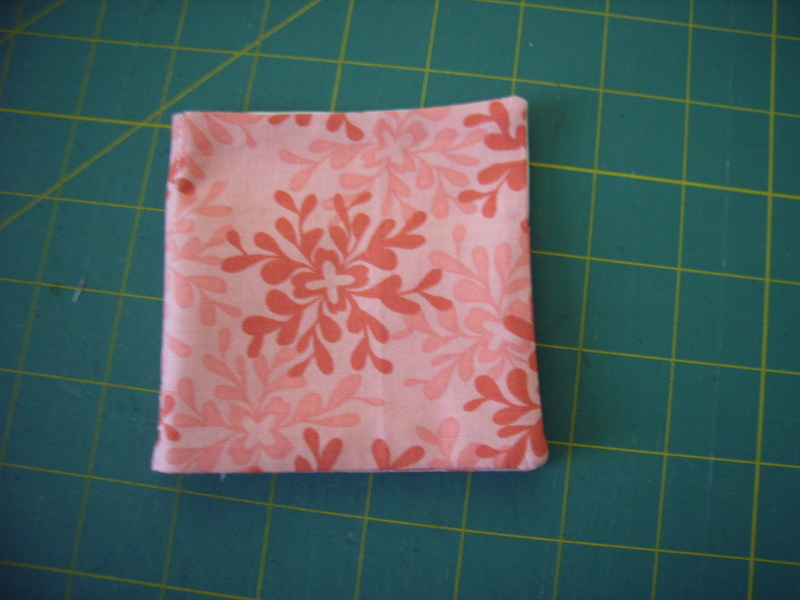 Sew a 1½” x 5½” to either side of centre square. Press seams away from centre square. 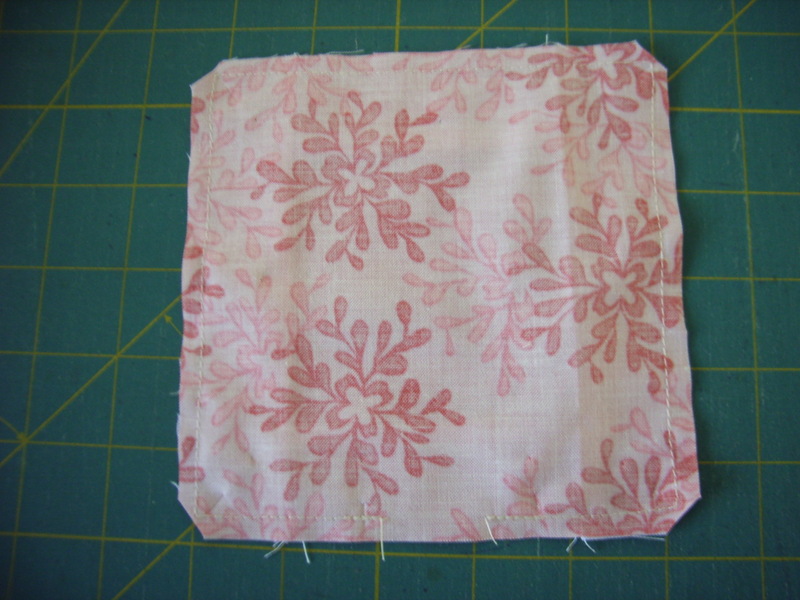 Place back fabric right sides together with pincushion front. 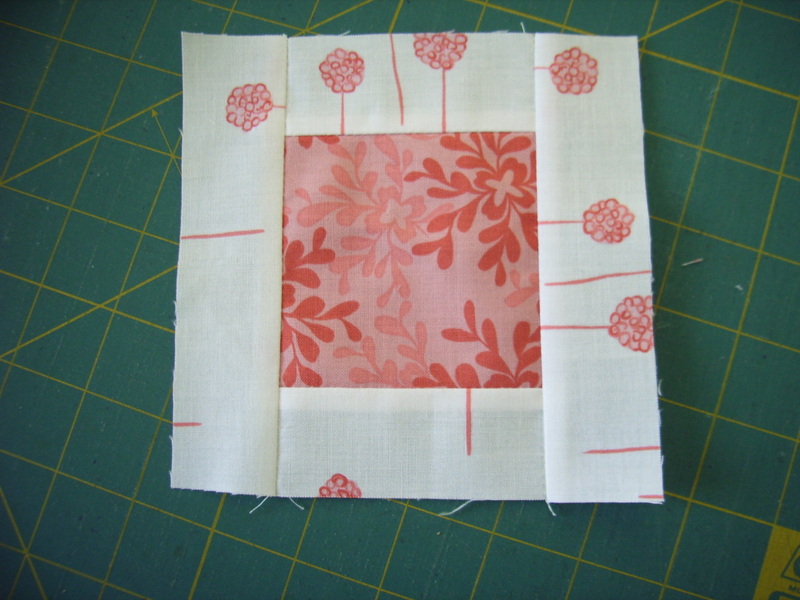 Sew around four sides leaving an opening (back stitching at start and finish). Clip corners, turn to right side and lightly press. Find the centre of both back and front and lightly mark. 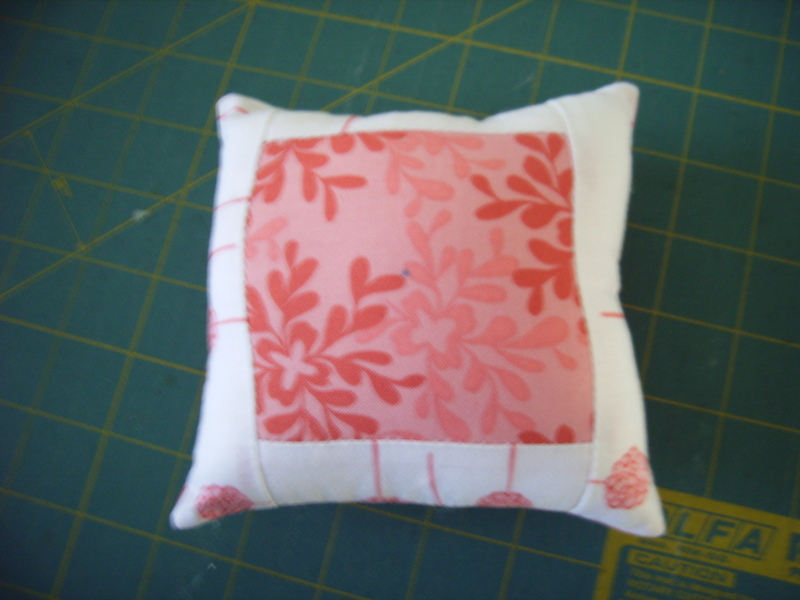 Stuff pincushion with toy fill and sew opening closed. Looks a bit fat and ungainly at this stage, but we’ll fix that! 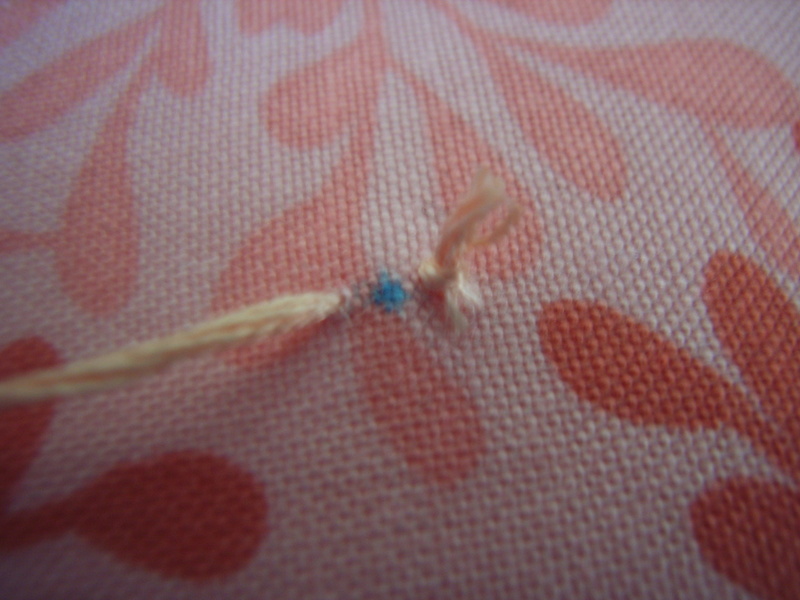 Using 3-6 strands of DMC, knot the thread with a heavy duty knot and take a small stitch on the back of the pin cushion at the marked place. Thread through the button for the back. 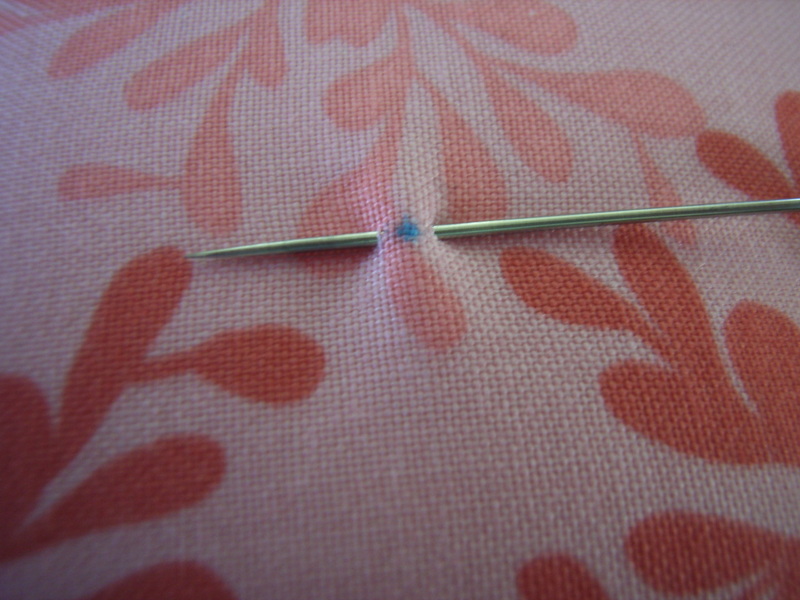 Place needle in next to the mark and take through to the front of the pin cushion. 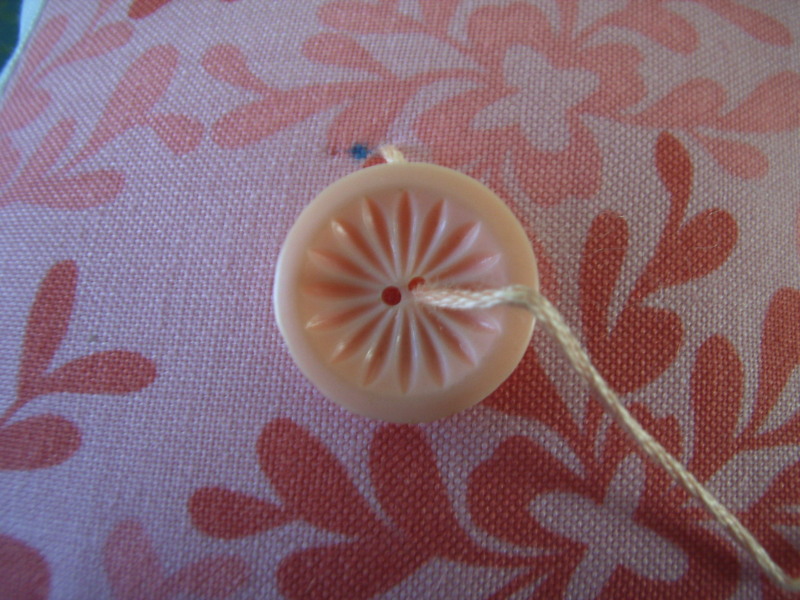 Thread the button for the front of the pin cushion onto the needle. 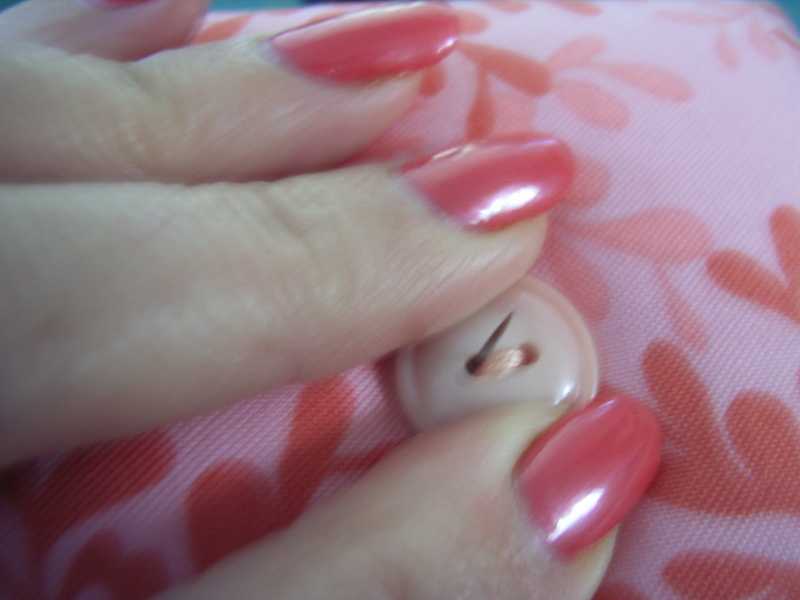 Sew buttons into position, going from one button through the pincushion to the other button and back several times, pulling on the thread as you go so the buttons make indentations in the pin cushion. 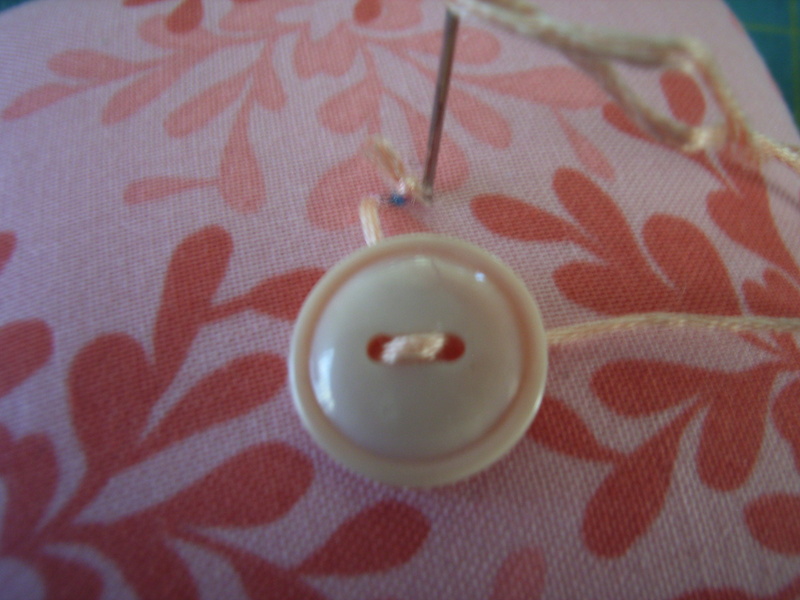 Finish by taking the needle through to the back of button on back of pincushion. Circle the button with the thread to create a loop. 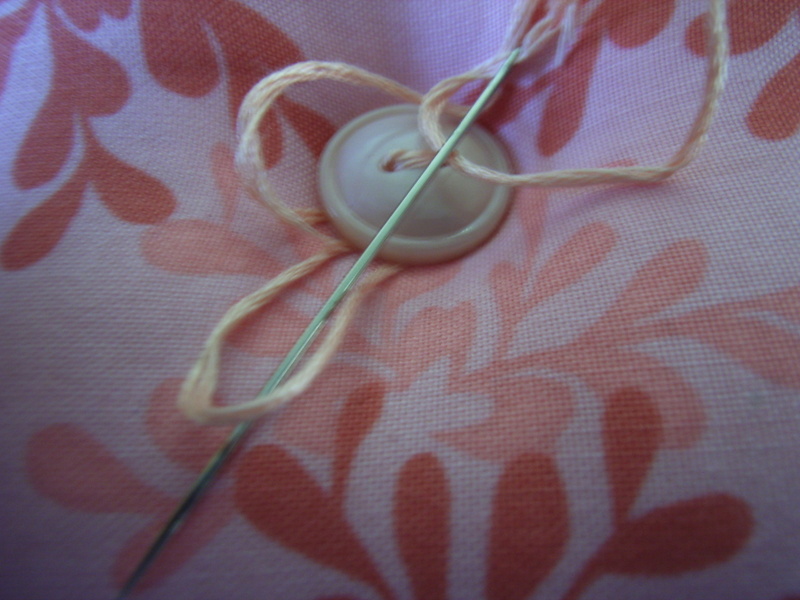 Put needle through the loop and pull thread to create a knot. 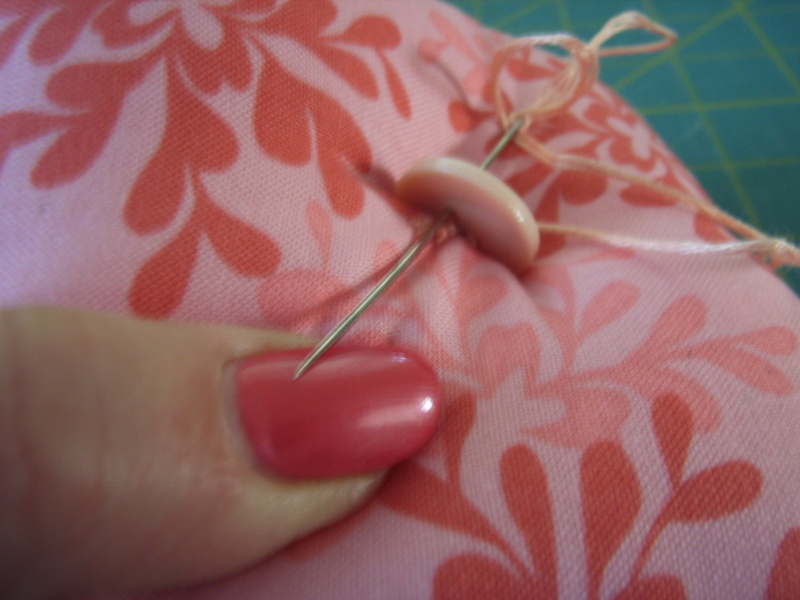 Run needle from under the button to the outer edge of the pincushion and clip thread. 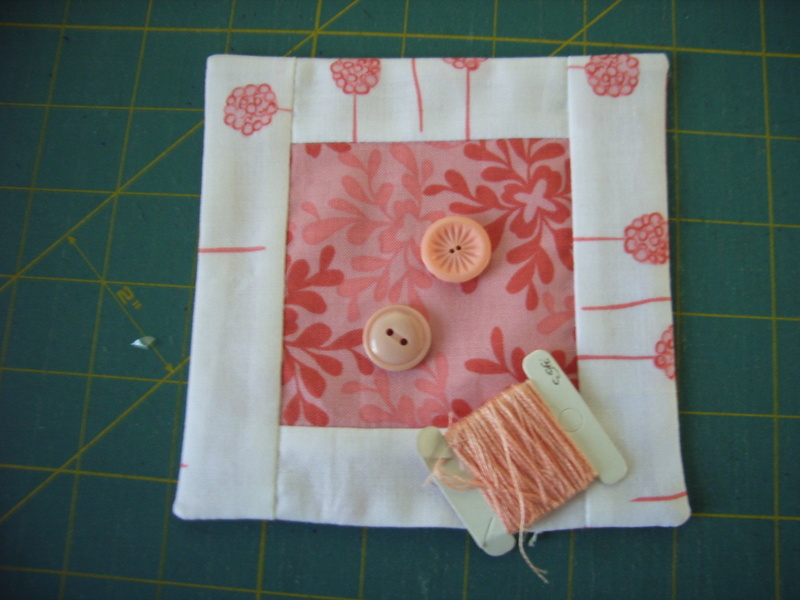 Make a 3” finished (3½” unfinished) block of an Ohio Star, a mini Log Cabin, a Pinwheel or block of your choice to use as the centre of the pincushion. Put some lavender in with the toy fill when stuffing for a nice smelling pincushion. 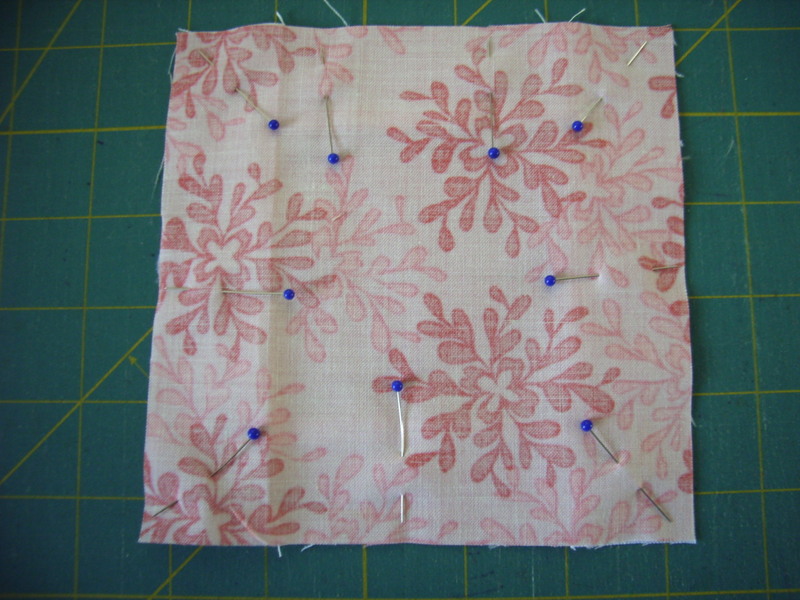 Wrap ribbon around the pincushion (like tying a parcel) before sewing on the buttons. 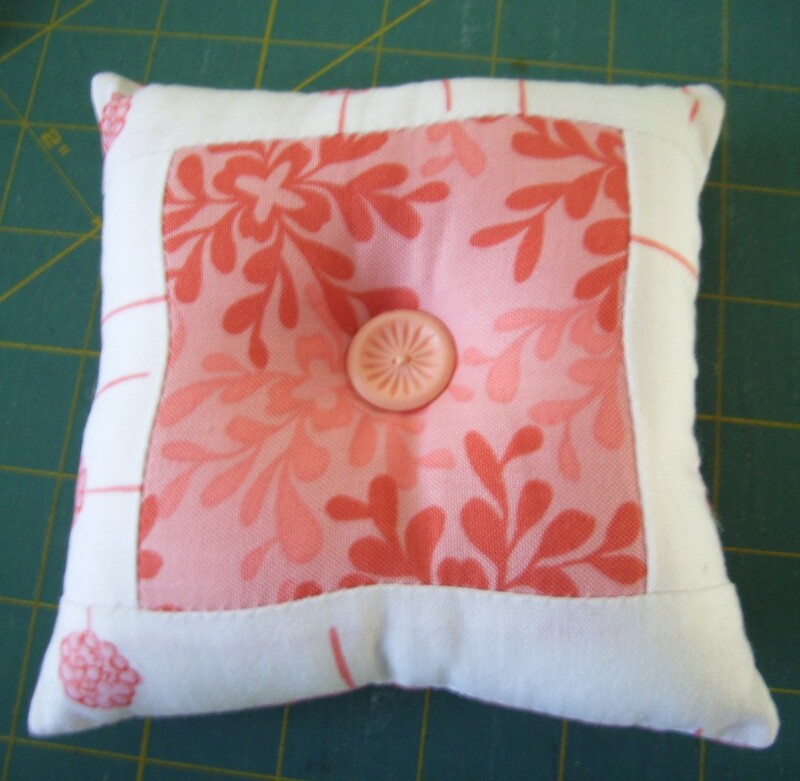 I love the pincushion & the idea about adding lavender. It reminds me of a visit to my cousins in Canada in the 1970s when they were all adding little cinnamon scented sachets to their sewing baskets. That’s when I got hooked on quilts at age 17. I am 63 now & making quilts all the time and get loads of inspiration from your website. I work near Regent street London and you can guess which shop I visit (in sale time !) …. But I did make a quilt completely from Liberty lawn for my first granddaughter. It’s fun spotting their fabrics in some of your posts. I wondered if you have published a pattern for your thumb cushion recently pictured ?